Arger-Martucci Vineyards-Cabernet Sauvignon-Cabernet Franc-Merlot-Estate-Atlas Peak-Napa Valley-California-2007-13.9% Alcohol-$24.99-A nose of dark fruits and spice, dark garnet in color. 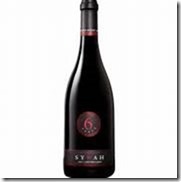 A medium to full bodied Cab blend with blackberry, currants, tobacco with chocolate and spice on long finish. This bottle was very Bordeaux like, very dry, was better with food. WE-94 CR-89 Good with meats, chicken, pasta. 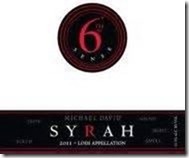 Michael David Winery-Sixth Sense-Syrah-Lodi-California-2011-15.0% Alcohol-$15.99-A nose of dark fruit and spice, a bit artificial, dark black in color. 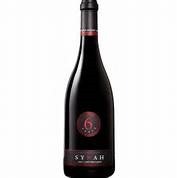 A full bodied and a bit artificial red, with blackberry, blueberry, licorice and spice. 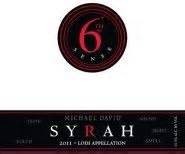 I am a big fan of Michael David wines, this one had that artificial factor like skittles’. RP-85 CR-84 Good with meats, chicken, pasta.